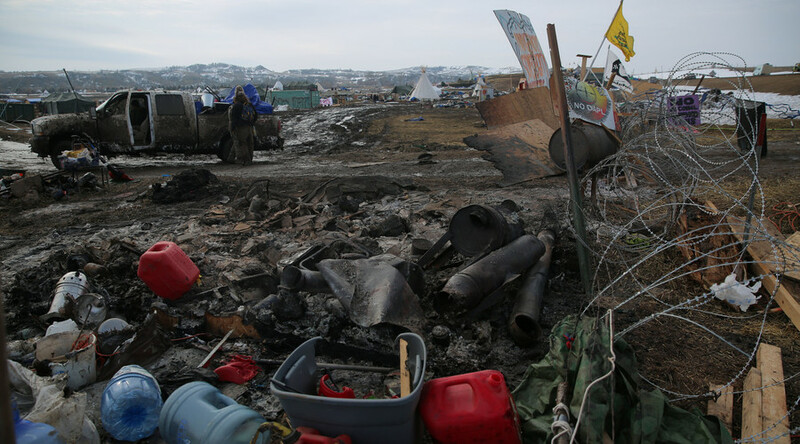 The Oceti Sakowin camp was completely emptied shortly after 2:00pm local time (8:00pm GMT), the Morton County Sheriff's Department said, as cited by Reuters. 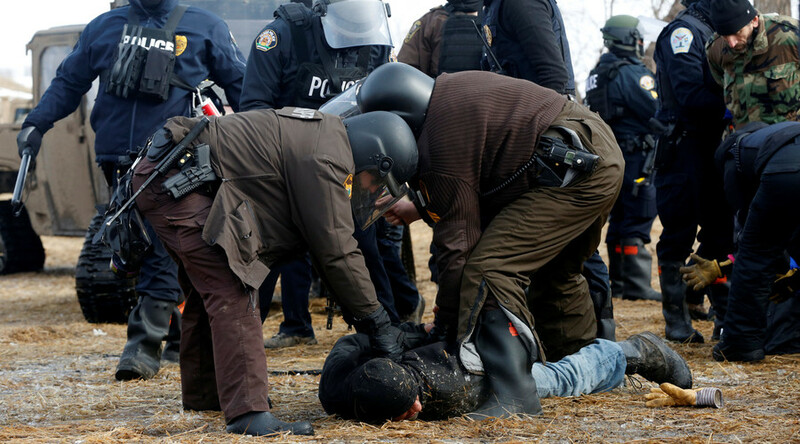 About 50 police in riot gear, aided by members of the National Guard and the Army Corps of Engineers, entered the site. At least 47 people were arrested, department spokeswoman Maxine Herr said. 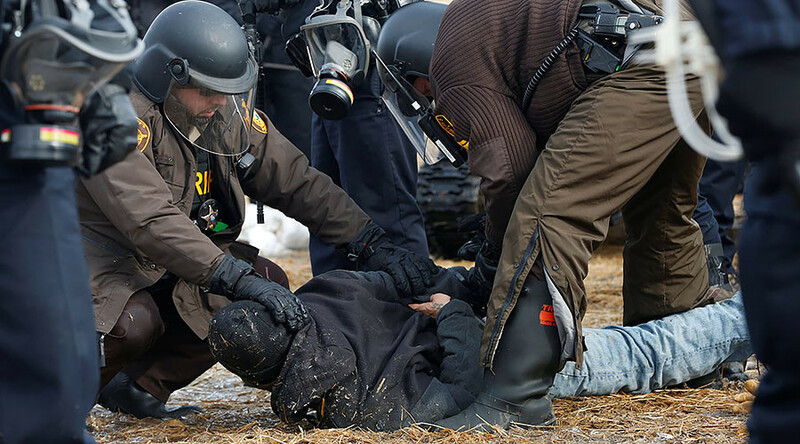 On Thursday, military vehicles, bulldozers, and police in riot gear moved into the camp to clear out the remaining protesters against the Dakota Access Pipeline (DAPL). 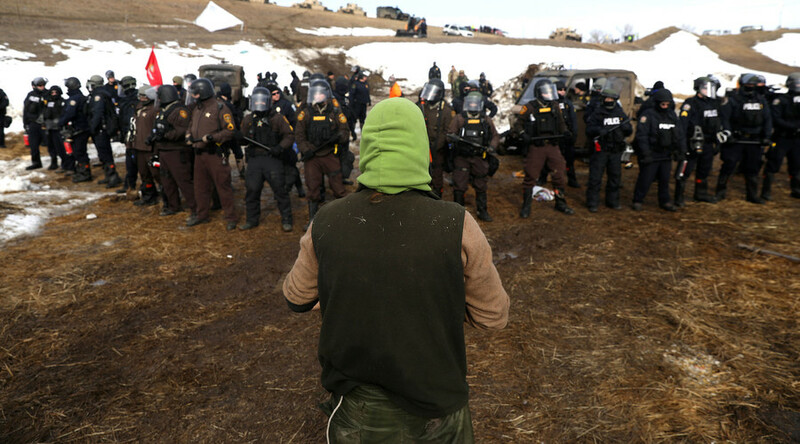 About 100 people had remained in the camp, defying the Wednesday deadline for evacuation ordered by the governor of North Dakota. “Things went very smoothly. We are very happy with the operations,” Herr said, adding that around 200 law enforcement officials took part in the operation. The protesters set around 20 fires, and one vehicle was burned, the Morton County Public Information Office in Bismarck, North Dakota said, as cited by AP. The statement added that there were at least two explosions, and a seven-year-old boy and a 17-year-old girl were taken to the hospital with burns. “It's really hard being here right now but we know we need to be here because we know that they are wrong and we are right,” Raymond Kingfisher, a protester, told Reuters. “They have been pointing a gun at our head since day one, so the feeling of fear becomes pretty normal,” another protester, Jeremiah Barnes, added. Some protesters decided to leave the camp peacefully. Others set the wooden constructions on fire. Phyllis Young, one of the camp leaders, told AP that the protests will continue. “A lot of our people want to be here and pray for our future,” tribal chairman Harold Frazier added. 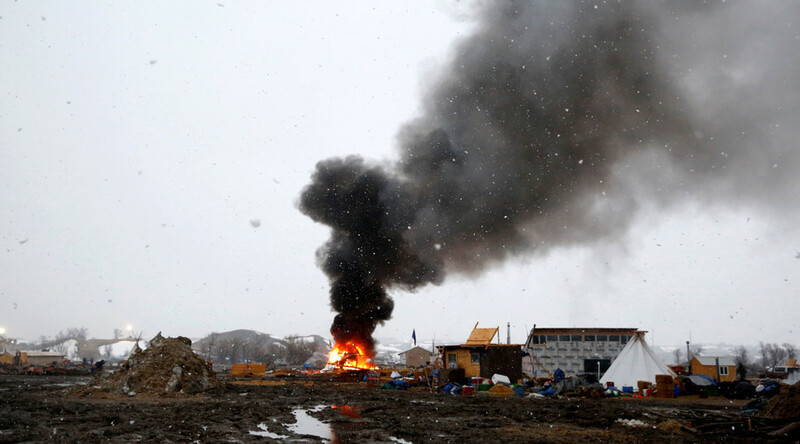 Oceti Sakowin, or “Seven Council Fires,” is the native name for the Sioux nation. The protest camp was set up north of the Standing Rock Sioux Reservation. The tribe has tried to stop the construction of the segment of the Dakota Access Pipeline under Lake Oahe, on the grounds that it could endanger their water supply.